This cabin is located on Ottertail River, at the North end of Ottertail Lake. Prime location for bridge jumping, floating down the river, fishing, kayaking, and many other activities. 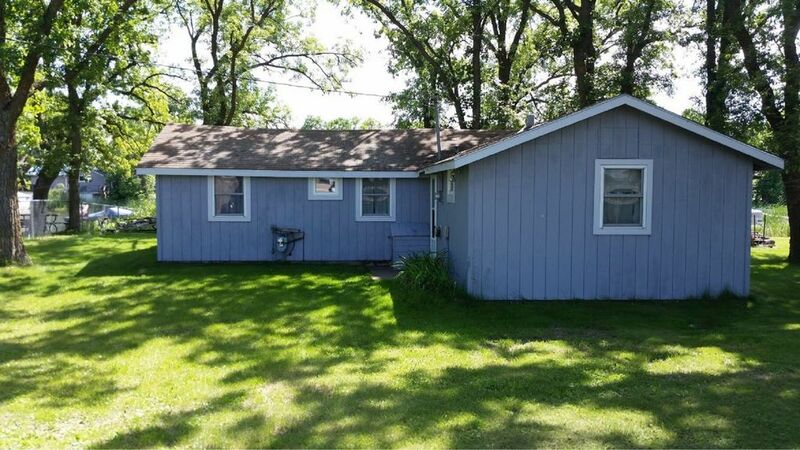 This cabin features a very large and level yard. It has a firepit and room for many yard games such as volleyball, sandbags and much more. Inside, you will find a newly remodeled 3 season porch with a beautiful view of the water. You will also find plenty of room with two living spaces, kitchen, 2 baths, 2 bedrooms, and a pullout couch. One bathroom recently remodeled as well as one bedroom recently remodeled. It is located two minutes away from groceries and gas. There is a large dock, with ample space for fishing, suntanning, and water fun. You can always bring a boat and tie it up to the dock all week, where it will not be affected by the wind if you were on the lake side. You can either boat or drive to the famous pizza place Zorbaz. It is also very close to Thumper Pond Golf Course which includes a water park, in case you have a rainy day. We hope you enjoy our cabin as much as we have for the past 10 years. Included with your stay: Kayaks, Board Games, Paddleboard, Outdoor Volleyball Net. Not one to complain, but we were very disappointed. Cabin wasn't clean, bedding & pillows were worn out. The couch was very dingy, we had to cover it with a quilt to sit on it. Living room carpet had a lot to be desired, kept sandals on the whole time. Needs to update dishes & silverware. We were paid up through Saturday, but left on Wednesday morning because we just didn't want to spend our vacation like that ☹. The place just needs some TLC. Very clean, well kept, older cabin. Close to Ottertail. Owner was very helpful. Being on the river made it convenient to tie the boats and not worry about waves. The fishing was excellent, lots of Walleye. The bridge jumping was great. Plenty of sitting areas in the cabin, a good card playing dining table as well. Highly recommended. Our group enjoys fishing different lakes while visiting the area. This cabin is great for that. Easy access and plenty of parking. Can even reel one in from the dock! This fit our needs perfectly. Cozy Cottage with wonder River and Lake access. The cabin was cozy and we really enjoyed the multiple ways to fish. The Cabin was clean and the bedrooms were plenty big enough. All in all there was plenty of room so we could bring another couple with us next time. One of great things about this location is you launch your boat once and keep it moored to the dock until you decide to leave. We would stay again and bring few more people to enjoy this property. The only thing I would have a low rating on was the bunk bed mattresses. Okay for kids maybe but not as comfortable as I would have liked. All in all, roomy and clean. Thanks Katie, we had a great time and look forward to coming back. I was there for a fishing trip. Cabin gave us access to river fishing and the lake with a comfortable place to come back to at the end of the day.